We hope, when you shop online at Baginc, that you find exactly what you need when it comes to fashion accessories. Our buyers work extremely hard to find world class fashion from around the globe, offering them at prices you need to see to believe. Here you will find our new arrivals which include everything from celebrity handbags to silver jewelries, all at amazingly affordable prices. 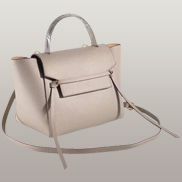 You can be sure whatever you are buying from us, including fashion handbags, which we will never compromise on quality. If you are looking for cheap wholesale handbags, fashion jewelry, sunglasses, wallets and more, you will always find them when you browse the Baginc online boutique. If you are like many fashionistas, you probably have seen gorgeous purses and other fashion accessories that you love, but you simply don't have the hundreds or thousands of dollars to spend on them. This is where we come in. 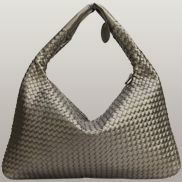 We offer fashion handbags all at affordable prices. We are much more than just cheap handbags though. You will find a full range of celebrity products, many of which you will see your favorite celebrities wearing with the pages of fashion magazines. With so many high quality products at amazing prices, you will wonder why you haven't been shopping at Baginc for all of your fashion accessories. We take pride in what we provide to our valued customers and we are confident that you will always find what you are looking for when you shop at Baginc.